Dr. Marti Hearst is a professor in the School of Information at the University of California, Berkeley. She received BA, MS, and PhD degrees in Computer Science from UC Berkeley and was a Member of the Research Staff at Xerox PARC from 1994 to 1997. 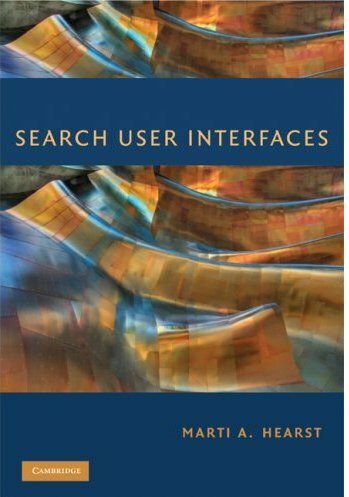 A primary focus of Dr. Hearst's research is user interfaces for search. She has invented or participated in several well-known search interface projects including Scatter/Gather clustering of search results, TileBars query term visualization, BioText search over the bioscience literature, and the Flamenco project that investigated and the promoted the use of faceted metadata for collection navigation. She has published extensively on this and other topics. The Flamenco project has had a significant impact in industry and practice; interfaces similar in design to Flamenco are now the standard on e-commerce sites, image navigation sites, and library catalog sites, and support for faceted navigation is now standard in content management systems. Dr. Hearst has also acted as a consultant for a wide range of search companies. Dr. Hearst has advised more than 50 masters-level interface design projects, from problem formation and needs assessment through three rounds of evaluation. She has also taught Information Organization and Retrieval and a course called Search Engines: Technology, Society, and Business, which includes a set of popular video lectures (also available at youtube). This book is available to be read online, free of charge. Read it! Tools used include sphider, qtip, and slimbox2. Hosted at FusedNetwork.